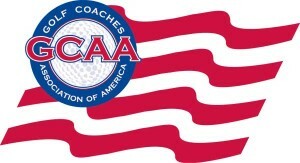 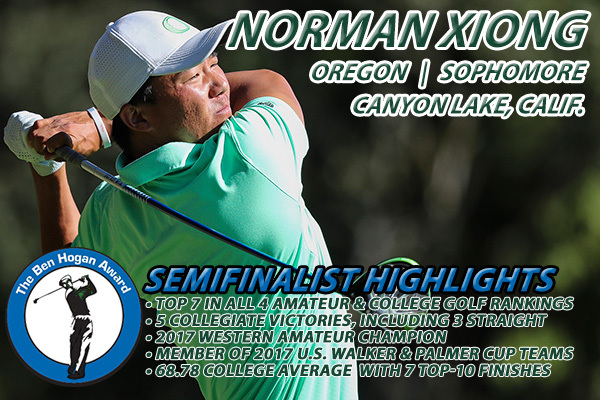 Is ranked among the top 40 in all four major amateur and college golf rankings (Scratch Players, WAGR, Golfweek/Sagarin and Golfstat). 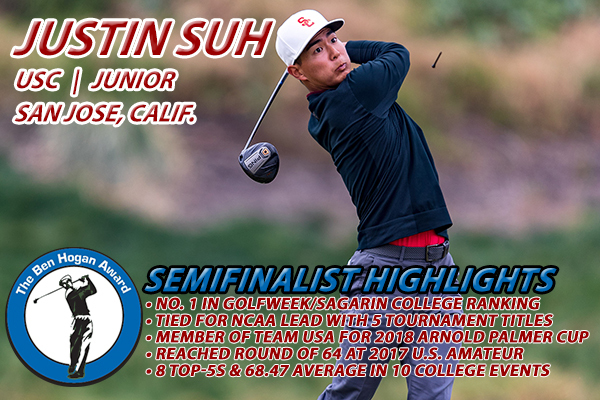 Reached the round of 64 at the 2016 U.S. 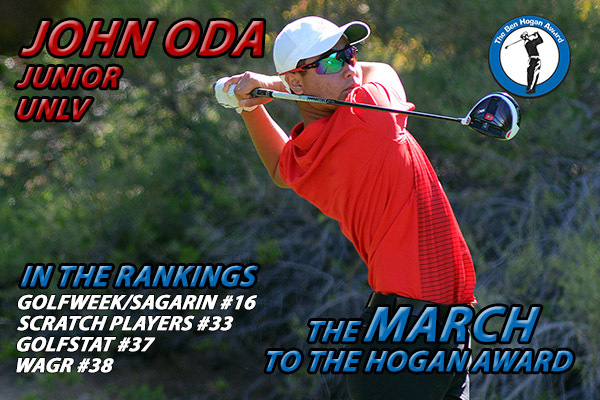 Amateur after tying for sixth in the stroke-play portion of the tournament. 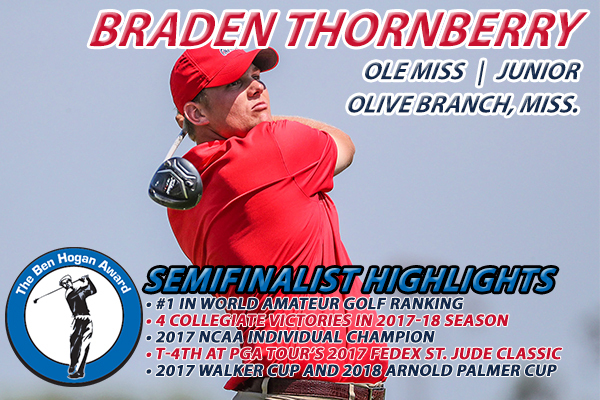 Logged top-10 showings at the 2016 Trans-Mississippi Amateur (T-4) and Northeast Amateur (T-7). 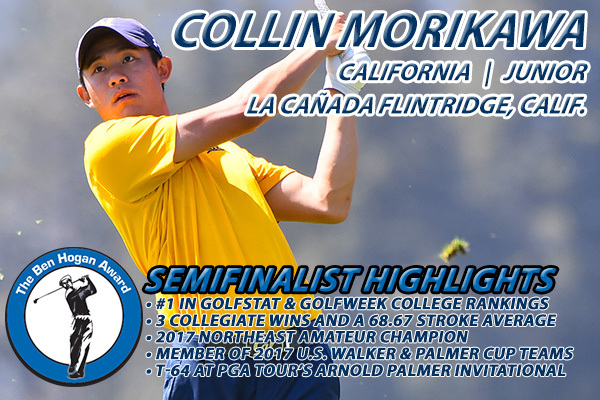 Had top-20 finishes last year at the Sunnehanna Amateur (T-14), Patriot All-America Classic (T-14) and Western Amateur (T-18). 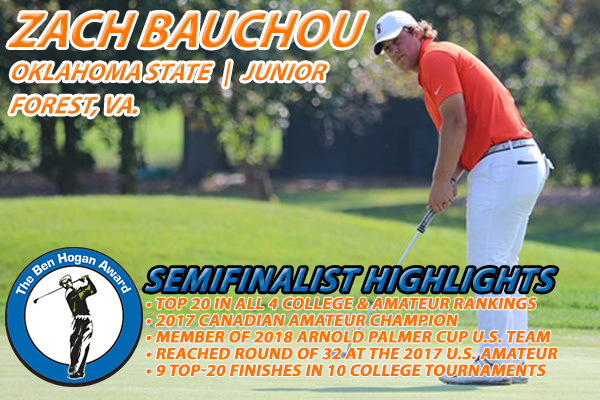 Competed in the PGA TOUR’s Sony Open in Hawaii in 2017. 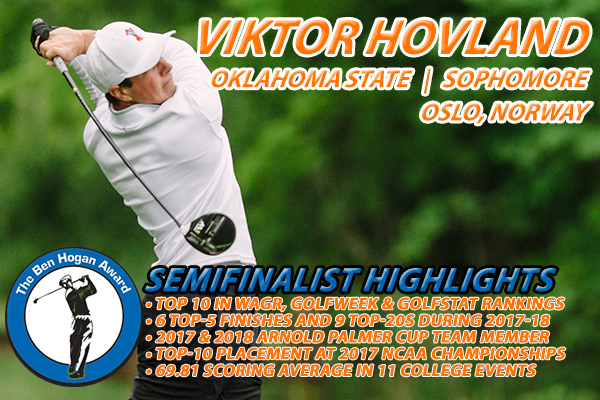 Has a pair of collegiate victories this year, winning the Jerry Pate National Intercollegiate and the Gene Miranda Falcon Invite. 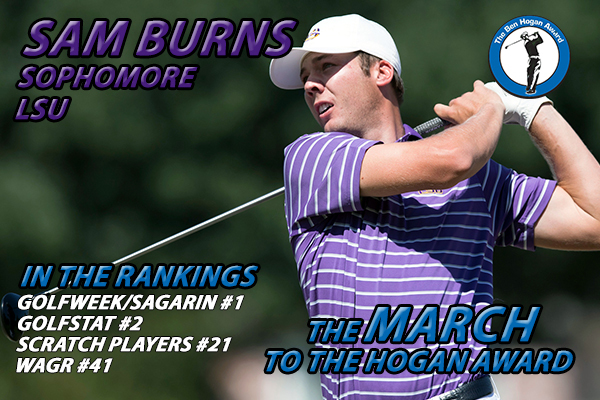 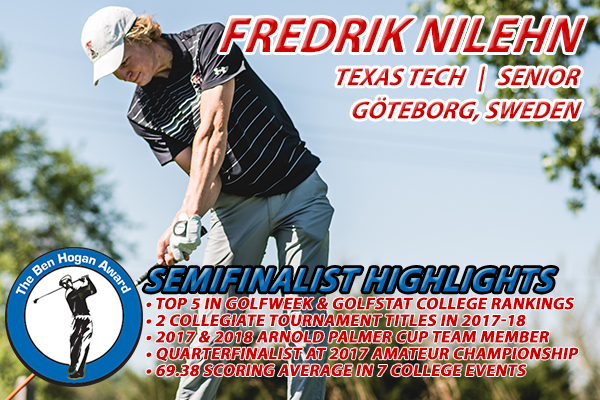 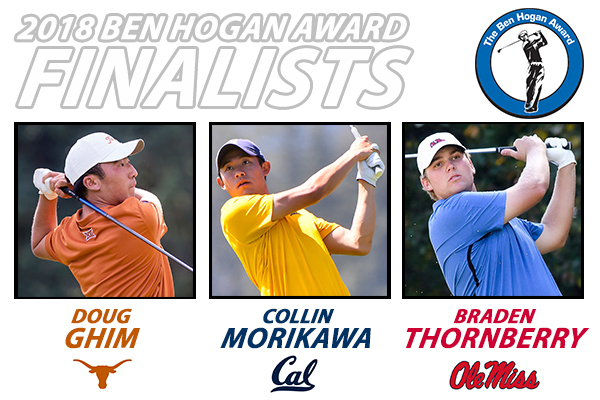 Has top-15 finishes in eight of his nine collegiate events, with six placements inside the top 8. 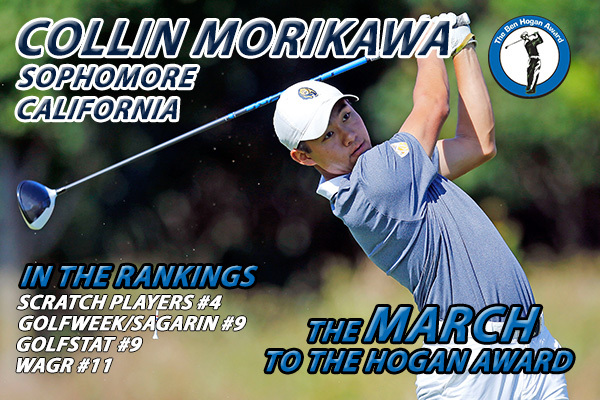 Owns a 70.26 stroke average over 27 rounds, which is currently the third-best scoring average in school history.